Moving residences can be a daunting process. There are many moving parts that can get mixed up or even jammed. 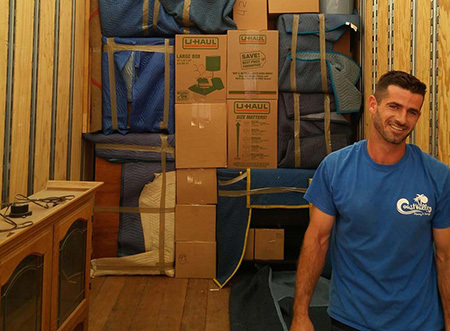 As seasoned San Clemente movers we have put together a list of a few tips that will help get you through your big day! Be sure to keep an eye out for future articles on this topic – this is just part one! 1. Clear containers for items that will be needed immediately– Make sure to pack the items you will need first once you get to your new residence in clear plastic bins. Most likely these bins will be laying around in storage if not you can purchase them anywhere from Target to The Container Store. This will not only help those boxes stick out from the others but you will also be able to take out supplies that you need right away. Items to put in here include cleaning supplies, (paper towels, sponges, Windex), toiletries (including TP! ), power strips, towels, etc. 2. Label, Label, Label – Label ALL boxes, include not only what is in the box but what room it will be heading to in the new residence. Also you will want to be consistent with the labels put them all in the same spot so you aren’t turning over boxes to see where you slapped that label. Another trick is to put the label in the upper right or left hand corner of the box so when they are stacked you can still see where the box needs to go. 3. Color Coding- Living in such a colorful place like San Clemente this stop should be quite easy! Color coding is another handy trick to help you get boxes where they need to go which will of course speed up the unpacking process. Assign colors according to room. You can color code your boxes with separate stickers, electrical tape or of course on the actual label. 4. Clean Before- Always try and get to your new residence and deep clean before all of your items are moved into it. As San Clemente residential movers we see this every day. Families aren’t able to get those back corners as clean as they want once the couch is moved into place or large appliance is and hooked up in its designated spot. If you can’t get to the residence to clean yourself (or just don’t want to) it is wise to hire a professional cleaning company to help you out! With years of moving experience we know how to help people in the San Clemente area and beyond move more efficiently the more planning that goes in on the front end the better. Take these tips into consideration and be sure to keep an eye out for future articles on this topic – this is just part one! For more moving tips and to schedule your free in home estimate call Coast Valley Moving and Storage today!